Download Photography Website Template Free PSD. A theme focused on photography but you can adopted for any other purposes. Clean design and easy navigation based on the one page style template. A free portfolio website template suited for photographers or for those that like to post and show photos from vacations or while traveling. The design looks elegant and modern with a nice layout with big header and gallery section that works well with this type of website. 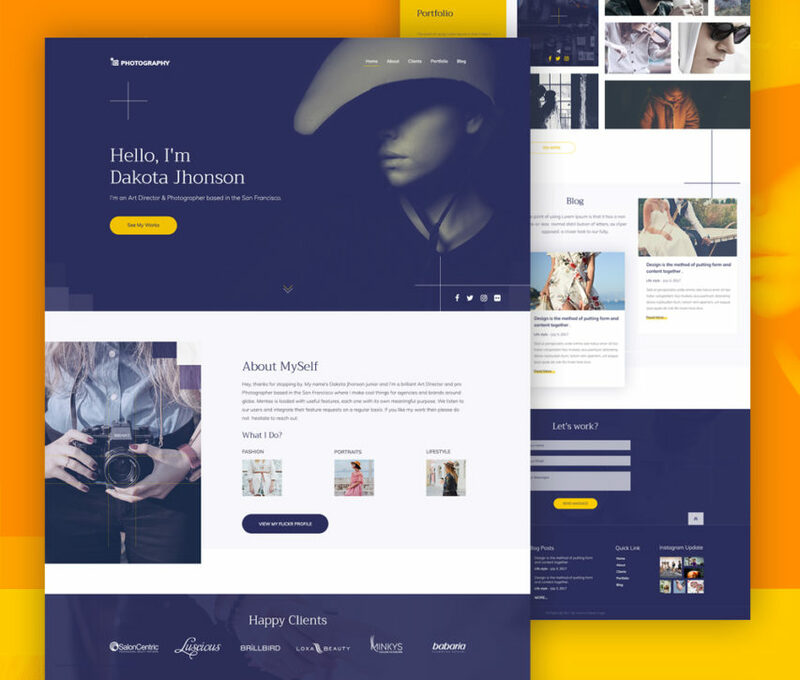 The design is minimalistic with a modern style theme and blue color scheme that makes the template stand out. Hope you like this Photography Website Template Free PSD. Enjoy!